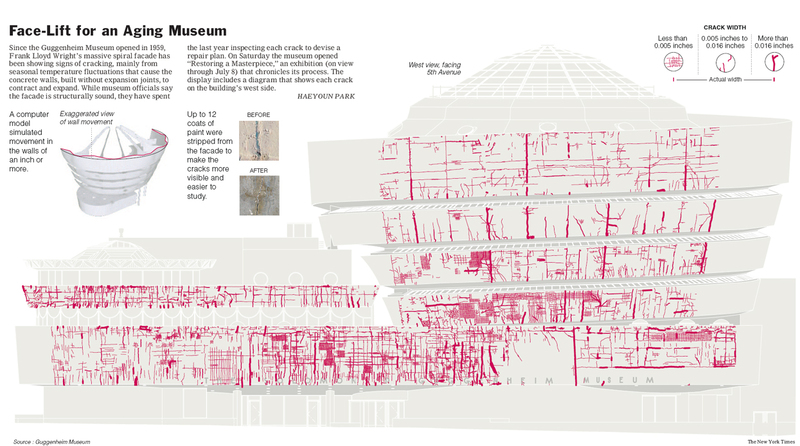 Yesterday's New York Times served up some technicolor imaging of Frank Lloyd Wright's cracking Guggenheim facade. 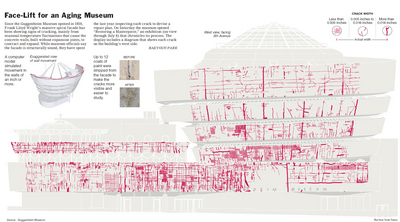 For anyone that has seen a set of historic preservation documents, this kind of documentation is routine. However, the image from the times takes it to a whole new level of awesomeness.